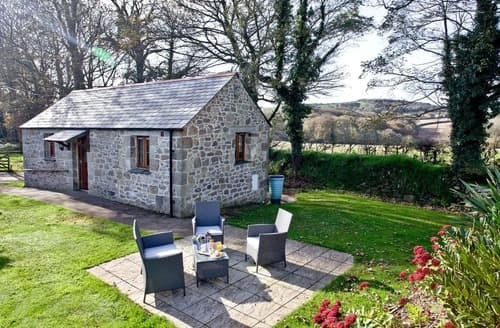 What our customers are saying about our Holiday Cottages In Lanhydrock To Rent. "The cottage we booked smelt musty and linen and towels all smelt, there was black mould in some rooms and even ivy growing through one of the windows. The spa water smelt and the filter was dirty and after using once we both felt itchy and as I am a swimming pool engineer this would be down to bad maintenance and so was not used again on our visit. Some of the electrical appliances did not work [ cd player - dvdplayer - electric fire ] there was no clothes dryer as advertised no welcome pack just some out of date folders with old pamphlets with wrong wifi code. We also had no hot water when we arrived so We contacted the owner who came round later and found immersion turned of and the new wifi code was on cork board in kitchen. When asked about the advertised fishing lakes we were informed they are just overgrown ponds and no fish that he knows of, I had taken fishing gear for no reason! The cottage is in dire need of a coat of paint and some upgrading. To keep the free electricity going you have to keep putting £1 coin [provided] in meter then turn knob £1 coin drops out then do it again until you have enough elec on meter to last, is this the 60's! For the money charged we were very disappointed as we paid for features that were not as advertised, exspensive for what it is and would not recomend or would book again. Due to this and bad weather we left 2 days early." "A number of lights not working around cottage. No toilet roll holder, broken light in girls bedroom. Central heating not working, light on hob not working. We were told not to touch timer for heating as it was set to come on it did not. Being disabled it was cold in mornings and evenings. Contacted owner to inform of problems and did not hear from him until 2 days later when more problems were pointed out and he came in while we were out and left message to say sorted but heating did not come on. Also, the cottage could have been cleaned a lot better as dirty. Very dissatisfied with overall experience.A number of lights not working around cottage. No toilet roll holder, broken light in girls bedroom. Central heating not working, light on hob not working. We were told not to touch timer for heating as it was set to come on it did not. Being disabled it was cold in mornings and evenings. Contacted owner to inform of problems and did not hear from him until 2 days later when more problems were pointed out and he came in while we were out and left message to say sorted but heating did not come on. Also, the cottage could have been cleaned a lot better as dirty. Very dissatisfied with overall experience." "A number of lights not working around cottage. No toilet roll holder, broken light in girls bedroom. Central heating not working, light on hob not working. We were told not to touch timer for heating as it was set to come on it did not. Being disabled it was cold in mornings and evenings. Contacted owner to inform of problems and did not hear from him until 2 days later when more problems were pointed out and he came in while we were out and left message to say sorted but heating did not come on. Also, the cottage could have been cleaned a lot better as dirty. Very dissatisfied with overall experience.Had an excellent holiday. 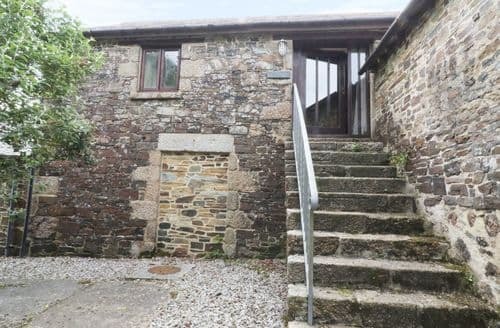 Cottage was very well set up and well positioned with easy access to both a30 and a38. 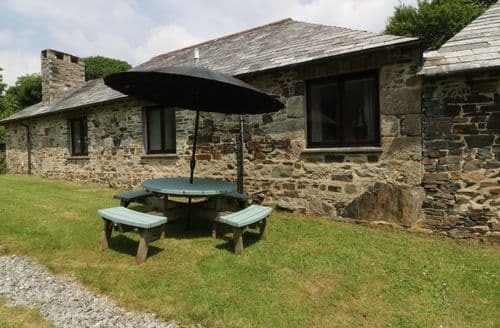 Cottage itself was situated in an ideal country spot surrounded by fields of cows and woods. Only point was it would have suited us more to have a jacuzzi like all the other cottages there rather than the sauna provided, which was quite ineffective when used. Also there was some coins for the pay meter but we had to put more of our own money in, which is not mentioned in the particulars." 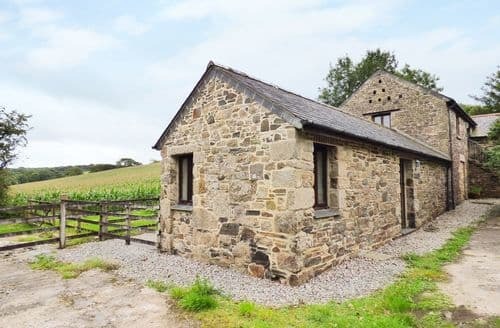 "We enjoyed staying at this cottage as it was in a quiet location down a farm track away from the main road. 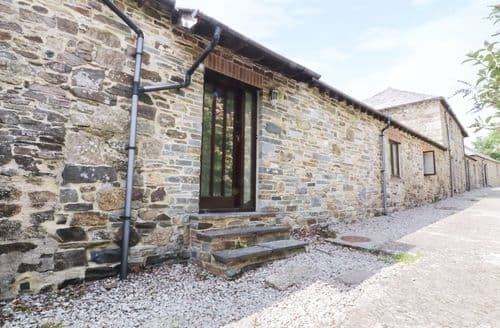 It had all the facilities we required for our stay but the only criticism I have is that it advertised the cottage as having Internet Wi-Fi access but in fact it did not which I know to many people would not be a problem but I did take my laptop but of course could not use it. 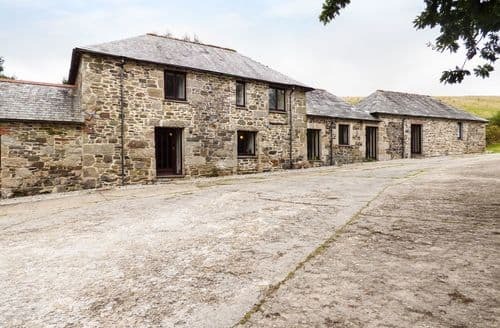 Easy access to Llanhydrock Estate and ideally located to get to the many beaches and places to visit (Polperro). 10 mins from Lostwithiel where there are good pubs to eat (The Globe Inn is excellent). 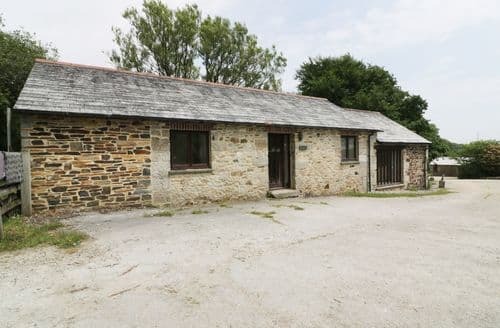 Would certainly recommend it as a place to consider as the rental cost is far less than cottages on the coast or nearer to the beaches." "Very disappointed to find bags of rubbish left in accommodation from previous residents. A number of lights not working around cottage. No toilet roll holder, broken light in girls bedroom. Central heating not working, light on hob not working. We were told not to touch timer for heating as it was set to come on it did not. Being disabled it was cold in mornings and evenings. Contacted owner to inform of problems and did not hear from him until 2 days later when more problems were pointed out and he came in while we were out and left message to say sorted but heating did not come on. Also, the cottage could have been cleaned a lot better as dirty. Very dissatisfied with overall experience."